In this day and age, it's fun to read something via the way we basically communicate these days - tweets, direct messages and police transcripts... Ok, ok, we don't read through police transcripts - but it was a great addition to this wicked little story. I went into this story automatically giving it a little leeway. I really thought it would be more teen angst and almost a satirical look at social media obsession and how scary it can be.. and I think it is.. sort of.... 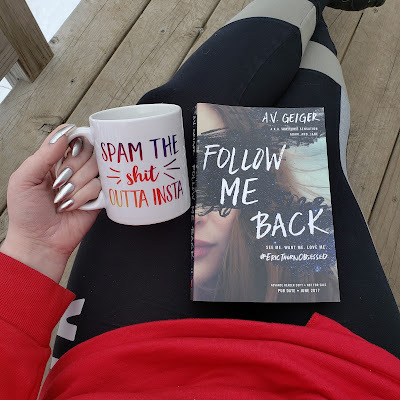 However, it also takes a look into a bit of social media bullying, the ease (even without agoraphobia) to hole yourself up into a world of just online communication and how we never truly know the person behind the screen name. Tweets, fandom, pop star obsessing - I can't even imagine how I would've been when I was younger if I had all this social media to obsess with. I'm bad enough as it is without feeding into any obsessiveness I may harbor. I really needed to know more about Bailey and how the situation with Tessa came into play. What exactly IS the FULL background of their story? I NEED ANSWERS! And that ending - while I love that it took a left turn at Albuquerque, WHAT?! I'm so confused! But so intrigued. Personally, I love the darker turn that it took. I'm also THRILLED to see there's a book 2 coming out in June. You best believe I'll be reading it because I need these answers.. and I really hope that I get them! Did you know you can actually follow the characters twitter pages in real life? I haven't looked yet but my fingers itching to press the follow buttons 😉. I really enjoyed this book! I finished it in an evening and couldn't stop reading. With our world being so connected and having social media be so present in all of our lives, this book was incredibly relevant and easy to relate to. Talking anonymously to whoever we want, whenever we want is a very dangerous luxury. 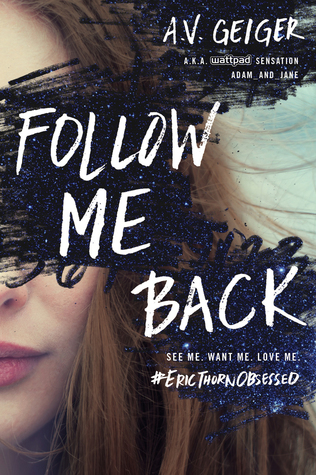 Tessa is a fangirl suffering from agoraphobia that made her Twitter account into one that obsesses over pop singer Eric Thorn. Eric Thorn is a pop star that is haunted by a fellow artist that was stalked and murdered a year before. He isn't a fan of all the social media publicity and promoting that his manager requires of him. In an effort to ruin his image, he creates a false account to anonymously bash himself and say what he wants about all of the fangirls. He decides to take down one of his top followers, but his trolling turns into something more. Catfishing and hiding behind anonymous profiles can have deadly consequences. I highly recommend this book! 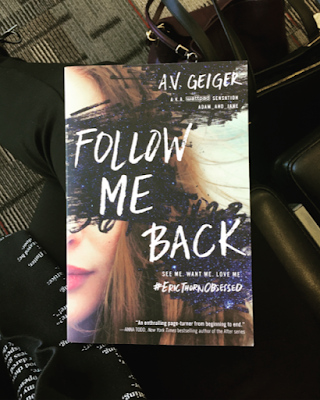 I loved the writing style and how it was told through the Twitter correspondences and the police interrogations. Definitely a page turner!